Geoffrey Thomas is Pastor of Alfred Place Baptist Church, Aberystwyth, where he has served the Lord for over forty years. His preaching and written ministry are deeply appreciated by many of God’s people around the world, and he is no stranger to Northern Ireland [where ‘Men for Ministry’ is based], having spoken in a number of contexts over the years. We are very grateful that Pastor Thomas has taken the time to be interviewed by ‘Men for Ministry’, and we trust that his reflections on the life and work of the preacher will prove a rich blessing to all. 1. Please tell us about your background, and your own calling to serve God through preaching His Word. I was born in 1938 in Merthyr Tydfil. My Baptist mother had been influenced by her mother’s brother who had been converted in the Welsh revival of 1904, and some time during the First World War, through the meetings her uncle led, she ‘gave her heart to the Lord Jesus.’ She maintained a sweet love for the Saviour all her life, accompanying all her chores with hymn-singing. She was tender, modest, self-effacing to a degree, wonderfully kind and loving. I am like a mouse before an elephant when measured by her graces. My Congregationalist father (a station-master) came from one of the most dynamic Congregationalist churches in the world a century ago, Bethania, Dowlais. A thousand strong congregation, its membership then was overwhelmingly evangelical but its ministers steadily and secretly moved into humanism in the old familiar way, becoming Arminian, bolstering man’s free will as the pivot for every step in religion, abandoning the Old Testament in huge chunks, and soon after such a momentous step of defiance of Jesus’ convictions, they turned against the Apostle Paul in the New Testament. So they gave up Jesus’ view of Scripture and Jesus’ greatest spokesman and they imagined they could still be loyal to this living person and not grieve him deeply. The brotherhood of man and the fatherhood of God became for them the message of the Christian religion. My father’s sister married a Congregational minister, a follower of Fosdick, and my father’s twin brother became a minister. He did not preach on the Apostle Paul for years. I went with my mother to church (the lamb follows the ewe) and in 1951 we moved to Hengoed where the Tabernacle Baptist church had been erected a hundred yards from our house almost fifty years earlier. It had started as a split-away from the Mount Pleasant Baptist Church across the other side of the valley in Maesycwmmer when the 1904 revival affected that church and bifurcated the congregation. It was made impossible for those who had ‘entered into the blessing’ to remain in the church and so they resigned and set up the Tabernacle half a mile away. Unfortunately they remained linked naively to the Baptist Union and so received into their pulpits the students and ministers who rejected the appallingly pessimistic evaluation of the human condition found in the Bible, one which could be relieved only by the incarnation, righteous life and atonement of the Son of God. Bland universalism and bourgeois ethics became the message of the day, disguised under traditional hymns and God words. Such insipid views depended largely on ‘personalities’ to keep the wagons trundling on. A young minister came to the church in the 1950s who began by earnestly preaching for a decision, but attending the Baptist College in Cardiff he lost his way and ended up an Anglo-Catholic ‘Father’ in the Church of Wales. But while he was in his early days he preached for a response and I came to Christ under his ministry in 1954, was then baptized, joined the church and came to the Lord’s Table. The church though shrank and shrank, and last year it was disbanded and the building demolished. I found fellowship wherever I could – summer camps, and then at university in the I.V.F. In 1958 I heard Dr. Martyn Lloyd-Jones preach, read Dr Packer’s Fundamentalism and the Word of God (IVP/Eerdmans), began to take The Banner of Truth magazine, read Whitefield’s Journals1, Lloyd-Jones’ Studies in the Sermon on the Mount (IVP/Eerdmans) and J. C. Ryle’s Holiness2. By different means – even the local library – God brought these things before me. His hand was upon me. I discovered a growing group of role models, the ‘sons’ of Dr. Lloyd-Jones, some of them my contemporaries at University, and others who were younger Welsh ministers. They were a great group whom I lionized – Presbyterians, Congregationalists and Baptists. They all left their own mark on me, and so it was not surprising that I preached for the first time in 1959 and thenceforward Sunday after Sunday. I studied Biblical Studies, Greek and Philosophy at Cardiff University and those evangelical books, magazines, gospel ministers and their preaching kept me. I read one cluster of men – Edward J. Young, Ned Stonehouse, John Murray, Cornelius Van Til and Edmund Clowney – and was aware that they were all teaching at Westminster Seminary. I jumped at the opportunity of attending that school, and it came to me through typical American generosity. I spent three years in Philadelphia and sailed back to Wales three days after graduation to marry the girl back home. It was only during the last months of my course at Seminary that I was assured of a call to preach, though I guess there was nothing else I ever wanted to do or was fit to do. It seemed a huge step to announce that I was going to be a preacher, but the counsels of Edmund P. Clowney, the most approachable, kindly, and prayerful of teachers, were crucial in prodding me to come out with the inevitable decision. My wife’s background was almost identical to mine – Welsh Congregational and Baptist, with two of her uncles also ministers, and as liberal as mine had been. We were both brands plucked from the burnt-over churches modernism had destroyed. 2. Dr. Martyn Lloyd-Jones famously stated that ‘the work of preaching is the highest and greatest and the most glorious calling to which anyone can ever be called.’ How does this statement match your own view of preaching, and what particular privileges do you feel attach themselves to teaching God’s Word? There are other great callings; we believe in the priesthood of all believers, that all you do is to be done to the glory of God. For example motherhood is a glorious calling; what would I have become without Mam? But Dr. Lloyd-Jones is defending his own vocation at a juncture in history when preaching is being marginalized. The Established Church sees the sermon as one part of the service, and has elevated the ordinance of the Lord’s Supper to being the climax of worship. The charismatic movement has labelled the singing ‘worship’ and the sermon ‘teaching.’ Modernism has shrunk the sermon to a comment on current affairs and book reviews. Counselling has been elevated as a means of changing people. Lloyd-Jones saw the sermon as a means of dynamic grace coming to convict, illuminate, educate and convert a sinner. A friend of mine, Easton Howes, during the 1950s and ’60s was working in the Westminster City Hall and a Christian colleague would often invite him to a ‘Bible Study’ on a Friday night nearby, but Easton was always busy and anxious to get home, imagining eight or so people sitting around making comments on a passage as not being too scintillating. One night his friend’s persistence was rewarded and Easton went reluctantly along with him. He was taken to Buckingham Gate and into Westminster Chapel where he sat astounded in the midst of a thousand people and heard Dr. Lloyd-Jones preach on Romans. It was a life-transforming experience for him, and he brought his pastor the next week, whose ministry was also affected pervasively. The preacher can minister to an entire congregation with all the differing needs of that gathering. The Word of God opened up and applied to the hearers can come upon them from all 360 degrees. The lines at which it comes running to you make sinners utterly defenceless to resist. This wisdom comes unexpectedly, from whence they least expect such truths to be dealing with them, from passages that seemed, when first announced, remote to their own needs, but by them God worked and elevated and inspired and reassured and directed. Hope was rekindled; conviction was experienced; love was reborn. When I look back to my own peak Christian experiences then so many of them have been when I was under the Word of God as it was preached to me and I melted, or again when it was I who was the spokesman and mouthpiece of God, and the congregation was still during the sermon, motionless after the service was over, knowing God was in this place. I have felt after such meetings that saving power was present though I might never hear of any specific individuals converted that day. 3. You have been ministering in Alfred Place Baptist Church in Aberystwyth for forty-two years. What are the main lessons that you have learned about yourself, the Lord and the task of preaching during that period? That is just one of the ethically stringent passages of the Bible and it tells me how I am to live, day by day. What is required in the beginner Christian is utterly essential in the minister. Any failure in attention to any of those duties is going to reflect on your ministry and weaken the impact of your preaching. You must have known many men whose skills in communication were not strong. Their friends would acknowledge that they were not inspirational preachers, and yet people are converted under their ministry year after year. The basis for this is their Christ-like manner, their sheer consistency of life, their humility and accessibility to the people who listen to them. The more one progresses in grasping the message of the Book the more one is overwhelmed by its demands. Consider the whole sphere of mortification, of plucking out the right eye if it offends, of self denial and cross-bearing if one would follow Christ. Consider the requirements of more love for God. Grace started as a trickle of affection for Father, Son and Holy Spirit. Has it ever become a mighty torrent of love for the Godhead? Why not? This is the chief commandment, to love God with all one’s heart and soul and mind and strength. The first of all commandments – and as one goes on in the Christian life, its sheer centrality and significance seem to become the only thing that matters. Think of it. We are failing in the thing that matters supremely. Then consider the demands of the personal devotional life of the minister, of his growing deepening relationship with the person of Jesus Christ his Lord and Saviour, of fellowship with the Spirit and communion with God the Father. The apostles gave themselves to prayer and the ministry of the word (Acts 6:4). I can understand the latter duty; that is also my duty all my life and wonderfully delightful it is, but they gave themselves first to prayer. How? How much? What was the relationship between the corporate and the individual seasons of prayer? Did they spend their whole mornings in prayer and the rest of the day teaching and evangelizing? How did they obey the apostolic precept to pray without ceasing? It was clearly important to them, and whereas the details I itch to know are wisely not provided by God, the importance of prayer to them was paramount. I am overwhelmed with the feeling that I have never really prayed; that in fact I don’t believe in prayer; that much of my failure as a preacher at so many different levels is due to the pathetic nature of my praying. So at this juncture of my life failure is my companion, but it is not too late for a flame of sacred love to be kindled on the mean altar of my heart. You read the life of M’Cheyne5 and you meet this same spirit. How these men were moved by love for others! The other failures are the more predictable ones, of opening the whole 66 books of the Bible from the pulpit. My own conviction has been that every Christian during the years of his or her earthly pilgrimage should come under the preaching of every part of the Bible. That is the reason God has given it to us. So I have sought to preach on all the Bible, but there are enormous challenges with that view which John Calvin and C. H. Spurgeon seem to have overcome by their different approaches to preaching. The problem comes firstly from the sheer size and proportions of the Bible. There are 847 pages in the Old Testament but just 247 pages to the New Testament (in my version of the Bible). Over three times as much material is in the Old Testament as is in the New. Then there is the different situation faced by most of the Old Testament prophets compared to those the New Testament apostles faced as they took the gospel of Jesus Christ around the eastern Mediterranean basin. Consider the situation Jeremiah was facing; does it mirror the circumstances of my own congregation? The professing people of God then had heard Jeremiah for forty years and still loved their idols more then the prophet and his God. They were facing judgment, destruction and exile. That is not what my congregation is like, and so I hesitate about slowly and painstakingly taking the people through that book Sunday by Sunday for a year or two – or more. It would not be pastorally helpful. But I may not ignore Jeremiah, and so my solution has been to deal with the book for 25 minutes at a time before the time of prayer during our mid-week meeting, with loads of breaks through the year when missionaries come, and some elders lead the service. So steadily we have gone through Jeremiah’s counsels and learned from them over two or three years (with many a break let me repeat). So I am sure Jeremiah’s teaching has never resulted in a compression of spirit under those relentless themes of defiance exposed and idolatry rebuked. Wives are useful barometers and the response of mine has always been positive to those studies in Jeremiah which have recently ended; she is no fawning sycophant where preaching is concerned. I use Jeremiah as an illustration of the challenge of preaching consecutively through the Old Testament with few role models, extant or historical. Many Old Testament prophets faced similar incomprehension as Jeremiah, and even with the indispensable insights of Vos and the whole developing school of biblical theology their message is often not the message one automatically considers our little European gospel congregations need to be exposed to exhaustively, though hear the message of all the Bible they must. That is why God has given it. Maybe if I were the Archbishop of Canterbury facing the follies of Anglicanism I might need to apply energetically and comprehensively Jeremiah and the prophets to those bishops, deans and canons. Or if I were the Pope I would have to declare Jeremiah’s truths exhaustively to that unreformed denomination which he, unfortunately, heads. The historical books from Joshua to Esther are in length virtually the same size as the New Testament. They lend themselves to far bigger textual units in preaching. There are splendid helps in the commentaries that various evangelical publishing houses steadily provide, but when one turns to the New Testament one must linger over the letters and also the discourses of our Lord because of the compression of truth found in their very prepositions. Dr. Lloyd-Jones’ method of comprehensive thorough studying of Ephesians6 is a perfect model, and one must resist the attempts to belittle it in favour of glorified Bible studies; in other words, skating over the whole of Ephesians in ten studies, with four of you sharing out chunks of the letter like schoolboys dividing stolen apples. But to do what I set out to do, preach through all the Bible, is inevitably to end in failure. All ministry ends in failure, of course. The plan and the noble attempt to accomplish it was simply mine; God’s plan for me was different. But I believe it was praiseworthy to try to preach through it all. I have painted myself into a corner, leaving myself the following books unpreached on: Numbers, Deuteronomy, many Psalms, Proverbs, Ezekiel and a few of the minor prophets. Think of it! What ranges of mountains to lead my people across! I will not succeed in preaching on all of those in the brief period that lies before me. No desperate devices, no token preaching on those books, will characterize my last years. I must speak on the one unfailingly fresh theme that brags about my Saviour as much as I am able, and so Luke’s gospel is my swansong, I guess balanced by series of Old Testament passages, plus Romans, strangely working my way from the back in chunks of a few chapters at the time (reckoning that the apostolic ethic was needed in the congregation). But there is a romance about preaching; God’s plan is far wiser than mine. I am, even as I write this, waiting on God for some indication as to what I might preach after seven messages on Naaman the leper have been completed on the Sunday before me. A psalm? Habakkuk? The opening chapters of Proverbs look enticing and my son-in-law Gary Brady has done such sterling work on them. We all serve the same heavenly Father who guides all his servants who seek to preach his Word. 4. In the ‘Men for Ministry’ initiative we are blessed to be in contact with a number of men who are just setting out on the path of teaching God’s Word. What would you advise them to do before, during and after the act of preaching? i] Before preaching. Search out for some role models, men in the ministry you admire, whose ministry and life moves you to emulation. Learn from them. You will quickly discover they have feet of clay. They will be colder people, not as smart as you hoped to answer your questions, but they will have insights and advice. Get men in the past to serve this end also, such as Whitefield, Spurgeon, Lloyd-Jones, M’Cheyne, Brainerd, Paton, Carey, Calvin and learn from them all. Lloyd-Jones’ Studies in the Sermon on the Mount, Pink’s Life of Elijah7, Watson’s Beatitudes8 are the kind of books that model interesting popular systematic expository preaching. Even some of James Montgomery Boice’s sermons are useful examples of expository and pastorally responsible preaching, but they do not suit me too well. Go to websites like First Presbyterian, Jackson where you can hear and read the sermons of Derek Thomas and Ligon Duncan. You can also hear the sermons of Joel Beeke and Iain D.Campbell on their websites – which can be found using the links or via Google. This is an extraordinary phenomenon, that at the end of a Sunday in Europe I can hear the morning sermon as it was preached in Heritage Reformed in Grand Rapids. Go to my website and read my sermons. When I was beginning my ministry the task of preparing two sermons a week was utterly daunting. I had such high standards and little ability and no experience of relentlessly preparing sermons for a congregation, especially two a week plus the mid-week preaching service. The task was overwhelming with many, many falls. How I wish I had had a resource of written sermons to turn to in order to help me. Saul’s armour did not fit David, but Jonathan’s did. 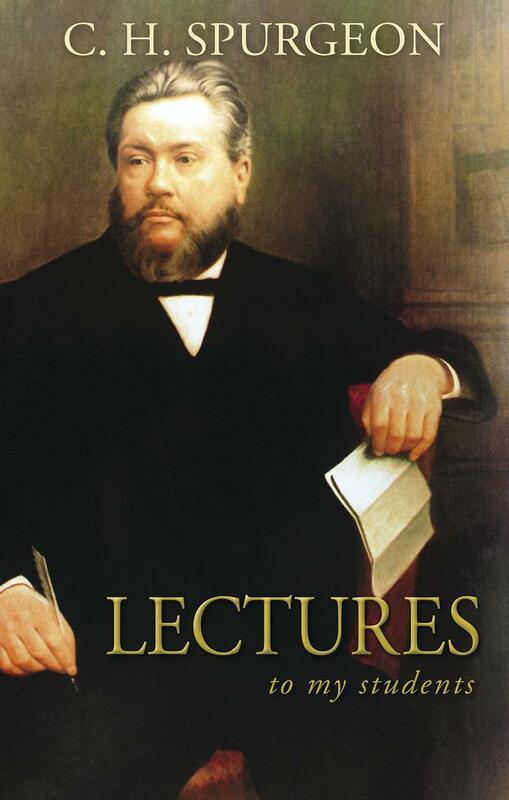 Spurgeon’s sermons don’t fit anyone preaching in the world today, but his whole spirit as he approached the work of the pulpit and the congregation, his ideas, application, entreaties and corrections are invaluable. The sermons of T. T. Shields were not my size either, but they helped make Paul Tucker the fascinating preacher he became. I found Al Martin and Donald Macleod invaluable helps in preaching in the 1970s. I preached their sermons and envied their clear outlines and passion in delivery. Such men helped me to build on the Doctor and my Welsh role models to form me. I have also had Iain Murray as my most consistently helpful counsellor, and consider his friendship and advice the most single blessed support. If there is one man whose books I must read as they appear it has to be the writings of Iain Murray9. So all that in answer to your first division – before preaching. ii] During preaching. Covet an ability to relax the congregation enabling them to sit back and listen carefully and enjoyably to what is to be said to them. I’ve been very struck with that grace as manifest in such men as Ted Donnelly, John Blanchard and David Norman Jones of Tasmania. It comes from a trust in God; a cultivation of that dependence on his enabling to bless the preparation during the proclamation. They have managed to learn to speak humbly and directly to their audience; they are not bullies; they don’t shout, but neither are they perennial smilers (which is just as irritating). They speak interestingly of their theme. They have in their minds a grasp of where this sermon is going and they are determined to take the congregation to that destination. They use judicious illustration, and their humour is safe. I believe that Ted Donnelly is the most excellent sermon illustrator in the UK, and in the USA it has been John Reisinger. I have learned from both of them about illustrating, and from the Puritans from Bunyan and Watson’s illustrations which are quite compressed (and when Owen illustrates, on those rare occasions, those illustrations of his coruscate). So the ability to settle a congregation down to listen to you during the sermon is the great gift to seek from God. It comes from loving familiarity with your theme, and a concern to communicate it to the people, and a determination to honour the Lord of the Word and the Word of the Lord. 5. When you pray for the spread of God’s Word and those who share it in Western Europe, what is the chief burden of your heart? 6. One of your lifelong passions has been the reading and promotion of Puritan literature. What can the Puritans teach us today about preaching? You have to try them for yourself, and do it this way. Get J. I. Packer’s Among God’s Giants10 and read those essays on various of the Puritans, their stalwart lives, controversies, how they conceived of the ministry, their personal disciplines of godliness and their evangelism. Start with Packer and see what immersion in Puritanism has done for him, in his many helpful books. He has not become a sad archaic caricature of the seventeenth century in his style. He is amongst the most contemporary, bracing, and searching of writers today. Then try some Puritans. What a wealth you have to choose from. 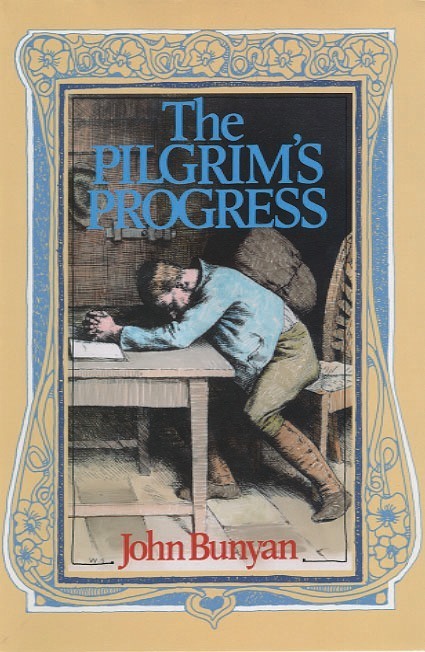 Start, of course, with Bunyan’s Pilgrim’s Progress11. It is the Westminster Confession of Faith lived out in pastoral theology. Read the debates especially because in those exchanges you will meet the application of truth to the kind of people we are meeting. Then there are the Banner of Truth paperback modern language series of books written by John Owen. There is the paperback on the Holy Spirit12, for example, and after you have read that you feel nothing else has ever needed to be written on the third person in the Godhead. The other versions of Owen’s books are just as helpful. Then there is Thomas Brooks, surely one of the most helpful and readable of writers; I took his Precious Remedies Against Satan’s Devices13 and preached a brief series based on that book. I cannot think of a counsellor today who is addressing issues in the church as Brooks does. His newly reset book on personal prayer is called The Secret Key to Heaven14 and it is the most encouraging book on the disciplines of personal devotion. One lady in the church just gave back to me her read copy saying how helpful she had found it and would I pass it on to someone else who might read it and also find it rich. What you will find in these books is a God-centredness which is absent from the prevailing ethos of ‘How to . . .’ books that are everywhere today. The Puritans centre on Christ, as Thomas Goodwin said, ‘If I were to go to heaven and find that Christ was not there, I would leave immediately; for heaven without Christ would be hell to me.’ Their books prick our consciences and show us the sinfulness of sin. They magnify the grace of God. They are so thorough in all they deal with; Baxter’s A Christian Directory (SDG) is 900 pages of fine print divided up into ethics, economics, ecclesiastics and politics. There you will find such counsels as ten directions for helping husbands and wives to live together in quietness and joy. They present to us the sovereignty of God in a living application to all the providences of life, individually and in the church. Their books are full of the hope of heaven. 7. Do you feel there is a place for dedicated and direct evangelistic preaching in regular ministry, or should this be present in all expository ministry from Scripture? Europe is utterly pagan, and the vestiges of an earlier grace are getting increasingly threadbare. Anti-Christian sentiment is gaining in vitriol. Who is ever going to hint at less evangelistic preaching? No Christian minister will do so, of all people. We will certainly discourage vain repetition of the same narrow understanding of what the gospel is, week by week, as the bleary-eyed young people boringly twiddle their thumbs at this familiar fare and look at their watches waiting for the closing hymn. That is not evangelistic preaching. Ask what are the reasons why people like those teenagers and their friends do not believe, and you will come to a list of a dozen reasons. There you have a dozen themes for your evangelism. Your task is to show the loveliness of Jesus Christ, and that again will give you a dozen messages. I asked Brian Edwards once what special services had he found useful in evangelism – baptismal services, Christmas and Easter messages, meals with a message? He shook his head, ‘The normal Sunday preaching has been the occasion when God has blessed his Word.’ Though I had never articulated that conviction, I found it mirrored my own experience exactly. How hard it is to crank up a message to become a super-message for a big occasion. The anxiety, and over-effort, and intensity in preaching the sermon usually ruins any hope of it doing good. Always have saving truth in every message for the stranger present. One particular church secretary would make the announcements on a Sunday and would welcome everyone, occasionally adding, ‘I see we have some strange faces here today.’ We must pray that faces marked by years of vanity and pride will hear of a Saviour wherever in the Bible you are preaching from. Recently after the morning service a man told me that he was bringing to the evening service two men who had not been near a church for twenty years. In the past I have tended to preach the message I have prepared regardless of the arrival of strangers to grace. I came to regret that on some notable occasions when a gang of unbelieving young people suddenly turned up that I failed to preach the message of salvation simply and clearly to them. So on this occasion I radically changed my approach to the sermon and simply declared the gospel. I thought that I overdid it, that the majority of the congregation were very familiar with the way I preach ‘a simple gospel’. The two men listened and I enjoyed talking to them after the sermon. They told the man who had invited them that they thought I was getting at them, and I was. Maybe if I had preached what I had prepared I might have crept up on them from another angle, but I think I would have had other regrets in failing to address them directly. What a challenge preaching is. As you preach through books and chapters my only plea is that when you come to one of those ‘big texts’ of Scripture that you slow down and give a whole sermon to it – the kind of preaching J. C. Ryle preached so clearly and helpfully in those sermons now gathered in Old Paths15 and Practical Religion16 and especially his perennially blessed book Holiness. Think of Dr. Lloyd-Jones travelling all over the UK for a mid-week meeting and consider the themes of his preaching, the texts he preached on, and the moving awakening power of his ministry to the nation. Those are the kind of sermons I want to preach myself, those that draw men and women to the Lord of glory. 8. What piece of advice has most helped you in your ministry? iii] Do not take your strengths for granted. You may be eloquent and make the assumption that you can stand before a hundred people and preach to them come wind, come weather. Do not assume that. Work on your strengths; and hone all your skills; purify and make more Christocentric your mind, and tongue, and man-management skills, and ability to speak to children, and pastor. iv] Work on one theme throughout your life, but steadily and thoroughly reading, exploring and taking notes’ for example, the imputation of Adam’s sin, or the atonement, or the state of man, or the teaching of Jonathan Edwards on a certain theme. Spend time on this subject. You never know whether in the future the church will be divided over this theme and your contribution will not then be immensely helpful. v] Don’t be a loner; attend the best conferences;17 put yourself under the best preachers. Talk with brethren in the afternoons, over the meals and at the end of the day in those places. Those occasions are the most profitable at such conferences, I find. The messages are a bonus. 9. What books would you regard as being beneficial and formative for young preachers? Anything written by Iain Murray, Dr. Lloyd-Jones, J. C. Ryle, John Murray, J. Gresham Machen, J. I. Packer, the commentaries of John Stott, and J. Alec Motyer. From other periods in the history of the church you ought to read d’Aubigné’s History of the Reformation18, Pilgrim’s Progress by Bunyan, Volumes 119 and 220 of The Life of Whitefield by Dallimore, the Journals of Whitefield, the Life of Spurgeon, volumes 121 and 222, the History of Princeton Seminary, Volumes 123 and 2,24 and The Life of Dr Martyn Lloyd-Jones25 by Iain Murray. 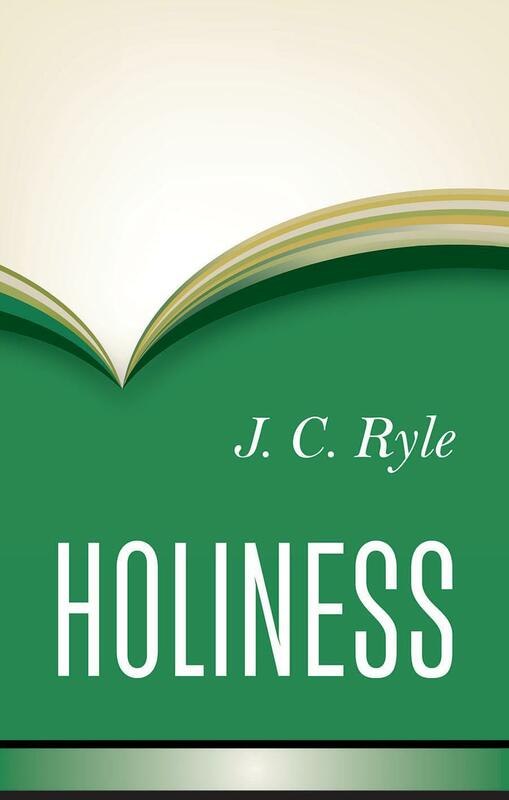 For devotional reading nothing can compare to J. C. Ryle’s Holiness, Dr Lloyd-Jones’s Studies in the Sermon on the Mount, and his sermons on Ephesians chapter two26. The book on the Sermon on the Mount will show you the beauty of a righteous life and make you want to live it, and it will also show you what consecutive biblical preaching can achieve. As for books about preaching you cannot neglect that most superb paperback of Stuart Olyott, Preaching Pure and Simple (Bryntirion). You will always be turning back to Dr. Lloyd-Jones’ Preaching and Preachers (Hodder & Stoughton). It is bracing, humbling, and inspiring. I read John Stott’s book on preaching, I Believe in Preaching (Hodder & Stoughton), as it was called in the UK, and it made me want to climb the pulpit steps immediately and preach the Word. Little booklets by Al Martin on preaching, like his What’s Wrong with Preaching Today?27, are out of the top drawer, enormously humbling and thrilling. Other books by Dabney and Samuel Miller and Spurgeon’s Lectures to my Students28 are also helpful. 10. One of the blessings which many Christians have gained from your preaching has been your ability to present the complex and theological aspects of God’s Word in a way which is both lucid and profoundly practical. How can a preacher avoid becoming technical and over-complicated in his delivery of messages? Is that right? Are you sure you are not muddling me up with someone else? I know I came back from three years at Westminster Seminary full of graduate theology. I had spent the previous six years of my life – those long years from 18 to 24 – with students, that narrow spectrum of age and communication and interest. It was not the most helpful approach to preaching popularly to my fellow countrymen. When I think of the men who never went to a theological college – Spurgeon, Lloyd-Jones, John Blanchard, Iain Murray – and how such men ran faster than all of us in their constant study and assimilation of the theology, church history, dogmatics, biblical exegesis, then I am tempted to denigrate theological training, but I had John Murray and Cornelius Van Til. How can I demean such training? So I believe in Systematic Theology as a necessary and central discipline in theological training. Today there is Murray, Grudem and Frame whose books are lucid presentations of Christian doctrine. Reymond is also useful, as are many sections of Berkhof. I guess it was Donald Macleod in the seventies and eighties who taught me how to preach on the doctrinal and ethical passages of Scripture. The moral implications of Pauline theology, the attributes of God and the emotional life of our Lord were the sorts of themes which Donald could preach as no one else. I miss hearing his preaching year after year. He refined any ability you say you see in presenting ‘the complex and theological aspects of God’s Word in a way that is both lucid and profoundly practical.’ That is a wonderful complement; I wish it were true. I would think my preaching on the opening chapters of Ephesians and Philippians is my attempt to do that, as were also my recent sermons on Imputation. But I use anyone who can help me, recently Spurgeon on Naaman and I. D. Campbell on Imputation. I once saw a title of some sermons of Al Martin, ‘Achan and his sin’ and the Lord buried that title in my mind for thirty years until this year when I preached five messages on that theme. I never heard Al Martin’s expositions, but he once preached a series on ‘The most fearful words any man could every hear,’ – ‘Depart from me ye cursed into everlasting fire prepared for the devil and his angels.’ I heard Al Martin preach two sermons on that text in Sandfields, Port Talbot, one Saturday thirty-five years ago. That was the most superb preaching. I can still sense their authority. I seek for that myself, and for deep conviction and tender love for my hearers to preach convicting series of messages on hell regularly. That absence has been another failure. But whether we judge we have attained that higher degree of spirituality, we cannot but preach what Christ said about the eternal state of the impenitent and unbelieving. Our own feelings may never be the touchstone of what we choose to preach on and what we omit. His command to every preacher is to teach whatever the Lord has first spoken. Imagine pleading our own frail feelings as the excuse for not having told the world what will be its judgment. Published by the Banner of Truth Trust in 1960, now out of print, but available from various other publishers and online. Dr. Lloyd-Jones’ sermons on Ephesians are published in 8 volumes by Banner of Truth – see the online Bookstore. See the online Bookstore on the Banner website. 10. Published by Kingsway, 1993; also available as A Quest for Godliness: The Puritan Vision of the Christian Life from Crossway Books (1994). The Banner of Truth Ministers’ Conferences in the UK and USA are particularly recommended! History of the Reformation of the 16th Century – available from various publishers. Banner of Truth publish the same author’s The Reformation in England in 2 volumes. This interview is taken from the Men for Ministry website (posted 12/10/07) – where there is a fine photo. of Geoff! – with kind permission. The ‘Notes’ have been added.